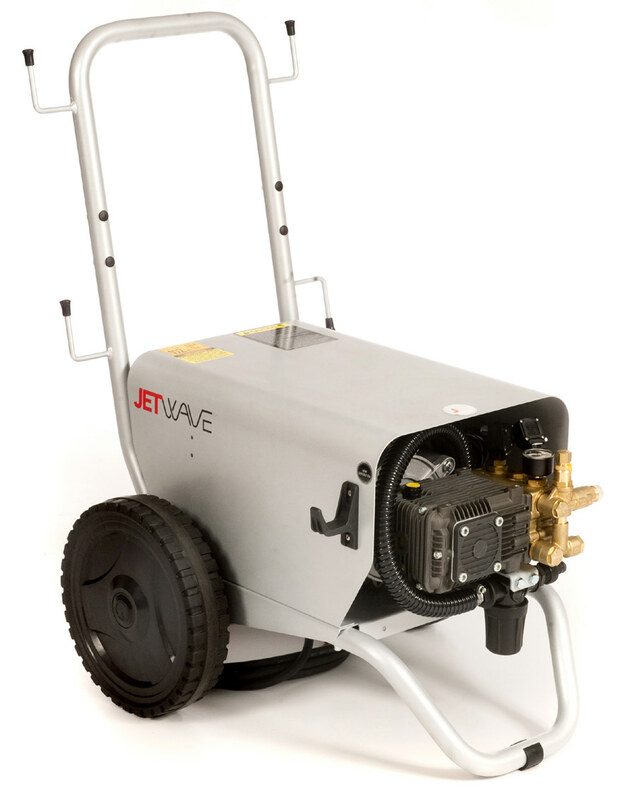 The Jetwave® Falcon™ 130 is the perfect electric pressure washer for heavy duty usage and applications. Incorporating quality Italian and global components, the Falcon™ is engineered, assembled and packed with style and advant grade features. Multifunction Safety Control™ (MSC)for overall unit protection. the heart of your investment. Professional Italian triplex pump delivers performance & longer life. Heavy duty oversized washable inlet water filter. Professional line accessories with integrated storage for cable, gun and lance. ​Ergonomics - Innovative trolley frame designed for durability. Performance - Dependable Italian industrial triplex pump. Safety - Formed steel cover for safety and protection. Portability - Premium large diameter puncture proof wheels. 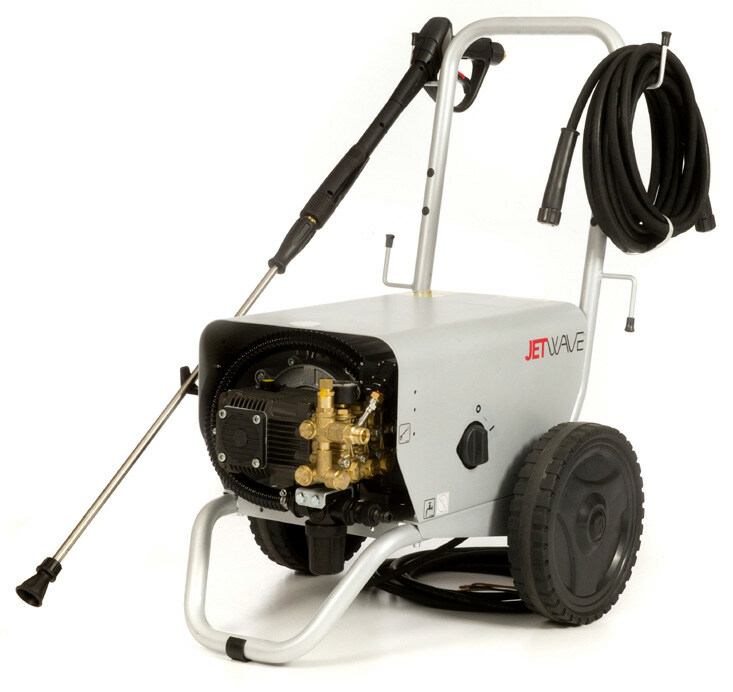 Spray Gun - Heavy duty insulated back part lance and quick coupling. Lance / Nozzle - Stainless steel lance with fixed spray fan complete with nozzle. Hose - 10m of 5/16” double wire braided hose with quick coupling.